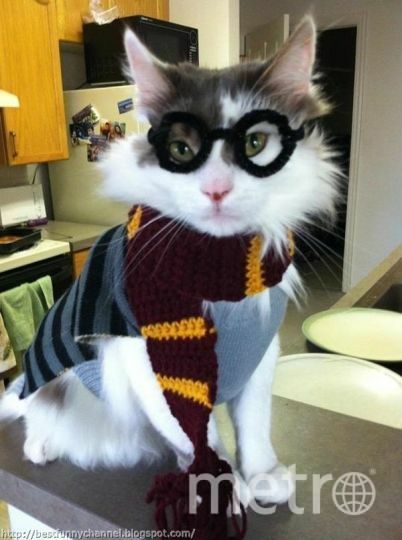 Everyone knows that cats are the best part of Halloween, and that book lovers are partial to both felines and the celebration of All Hallows Eve. 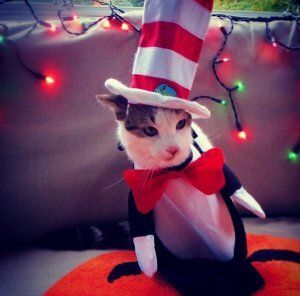 So we’ve put together a comprehensive list of amazing cats wearing literary Halloween costumes. Adorable because it’s a cat. Adorable because it’s in a hat! Edward, you’re as brooding as ever. Even on all fours. This cat is so cute it even has a paparazzi! We’re going mad over how cute this is! This costume based of the goat-humanoids from Narnia is so cute I feel like singing and dancing! Look after this one! It’s adorable! I think this one is staring down his next victim. Somebody get some garlic! This little adventurer has some style! Those boots are just purrrfect!